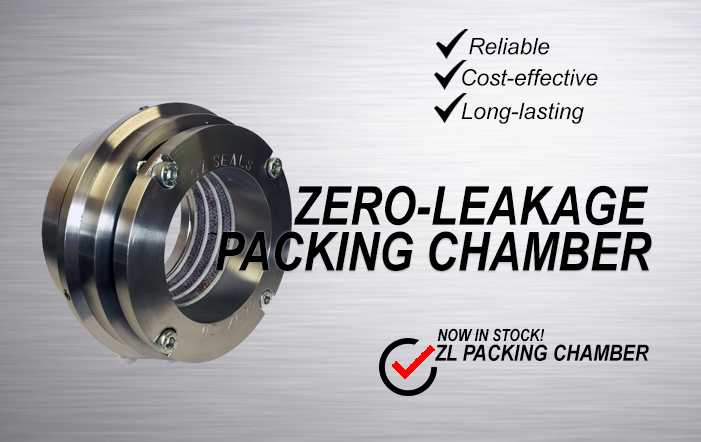 Oz Seals is now offering a new range of Zero-Leakage (ZL) packing chambers. The design of the Oz Seals’ ZL packing chamber is safe, reliable and cost-effective. It can replace mechanical seals in industrial pumping applications which results in energy and water savings. Oz Seals packing chamber consists of three compression packing ropes (available in various materials) backed up by four, PTFE back-up rings for additional sealing purposes. These are all encased in a stainless steel housing. The new ZL packing chamber can be implemented in pumps, mixers, and agitators under different applications such as condensate, boiler feedwater, light paper stock and white water. Oz Seals packing products are designed to provide the ultimate sealing solution for the most difficult circumstances, such as the needs of refineries, chemical processing facilities, power generation, food processing plants, and more…. From high temperature and pressure steam services to aggressive chemical exposure and fugitive emissions reduction, Oz Seals can deliver all of your long-lasting packing solutions. Read Next : CHANGE IS GOOD!